Philadelphia Museum Shaped Early American Culture Museums were a source of education and entertainment in early America. Philadelphia artist and naturalist Charles Willson Peale helped shape American culture by establishing what was the country's first public museum of art and science. The newly formed city of Philadelphia was a rowdy and crowded mix of cultures 300 years ago. 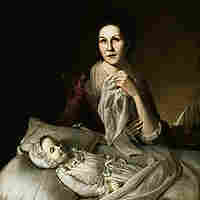 Charles Willson Peale's oil painting Rachel Weeping remains on display in Philadelphia. Tucked in a corner of Philadelphia's Kensington neighborhood is the historic Palmer Cemetery, the final resting place of Revolutionary War heroes, politicians and some of the earliest American businessmen. Established in 1732, Palmer Cemetery is one of the country's oldest free burial grounds — and it's still active. The cemetery is open to residents of this once-thriving fishing and shipbuilding port known as "Fishtown" on the banks of the Delaware River. 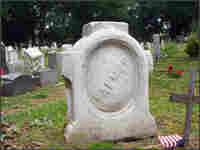 Anyone who resides in Fishtown when he or she dies has the right to be buried among the earliest Americas in Palmer Cemetery. The cemetery has reached capacity, so the process of finding a burial plot is decidedly unorthodox — head out with a metal rod and begin poking into the ground in search of empty space. Today, 18th century tombstones stand alongside one that marks the grave of an Iraq war veteran, for instance. What does it mean to be an American? In a month-long series that spans three centuries, Weekend Edition Sunday travels to the historic city of Philadelphia to find some answers. By the time of the Revolutionary War in 1776, Philadelphia had expanded from a small town with a predominantly Quaker population into a bustling mix of communities. It was a rowdy melting pot that included European immigrants and African-Americans living side-by-side in the city's packed quarters. Philadelphia soon became an economic and political powerhouse, and with that rise it began to shape a new cultural identity that would distinguish "Americans" from their Old World roots. 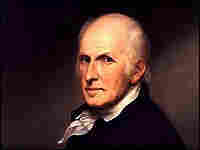 At the forefront of this cultural change was Charles Willson Peale. Historians describe Peale, who was born in 1741, as a visionary of his time — an artist, a scientist and a naturalist. He is probably best known for his portraits of some of the patriots of the Revolution. What isn't as well known is that he is essentially responsible for the United States' museum system today. Peale began by collecting artifacts and displaying them in his home in the heart of Philadelphia before moving them to a larger site that became one of the country's first public museums: the Philadelphia Museum. "He was a soldier in the American Revolution and in fact managed to meet all the major generals, including Washington. In the course of his travels, he painted all of their portraits, set up a painting room here in Philadelphia, served in the state Legislature," says David Brigham, the Edna S. Tuttleman Museum Director at the Pennsylvania Academy of the Fine Arts in Philadelphia. "In 1786, someone brought to him a bone from Kentucky of a mastodon, and Peale was fascinated by it and put it on display in his painting room, and found that it was a greater attraction than all the paintings that he had amassed of the leaders of the American Revolution," Brigham says. 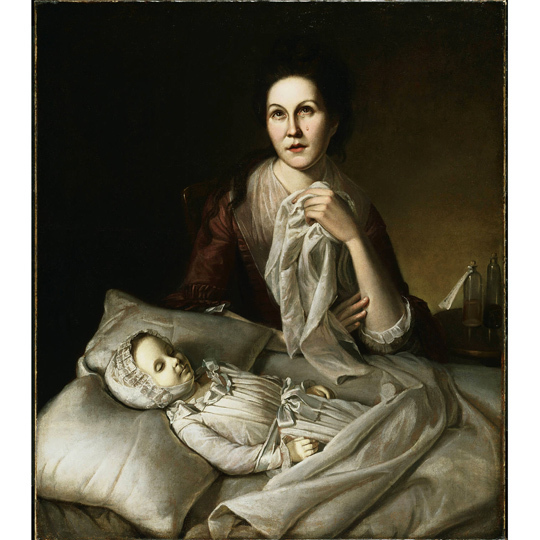 Because Peale was a curious person who was brought up during the Enlightenment, Brigham says, "he established what became the most important and really the first public museum of art and science in America." Peale wanted his museum to be a national university, accessible "to both the learned and the unwise," Brigham says. He wanted to draw people from across all social classes, and crafted lectures and presentations that would be interesting and relevant to the widest range of people. Brigham says Peale also believed that the new nation needed economic as well as political freedom. By understanding nature, promoting innovation and showcasing accomplished people, Peale felt that he could encourage this economic independence. In many respects, Brigham says, Peale drafted the blueprint for the way museums are run today. "Not only did he create the first museum, but he created the first marketing campaigns, the first solicitations for gifts to his museum," Brigham says. "He had certificates that donors received that said, 'Of grains of sand are mountains made.' The idea was that ... this was not only Peale's museum, it was the community's museum. It was the nation's museum, and he really believed that." Carol Soltis, curator of the Philadelphia Museum of Art, says Peale's exhibits had to be crowd-pleasers because much of his funding came from ticket sales. "So you had to do things like have moving pictures — he painted these moving pictures with lights behind them, and that was fun. ... He brought in professors to lecture on different topics and he had new ethnographic finds," she says. Peale's museum ultimately became the repository for specimens and objects from expeditions out West. "There was no Smithsonian, so you would send it to Peale," Solis says. After Peale's death in 1827, the museum was left to his sons. But by the 1840s, the museum had closed. Most of the artifacts were sold off. In fact, one of the buyers was the ultimate showman, PT Barnum. Many of Peale's 19th century ideas are still fresh, Brigham says. "He wanted culture not to be difficult and somehow painful, but fun and uplifting and entertaining. ... It was described in the 20th century as middle-brow culture," Brigham says. "We have a high-brow, low-brow division, but there's an awfully big middle brow. And I think Peale was an advocate of that middle brow — PBS, The History Channel and things like that, that you can be educated and learn in a fun way." This story was produced by Gemma Watters and edited by Jenni Bergal.